Not only do we provide repairs and maintenance on your everyday transportation we also service trucks, cars and vans used in Fleet services, Rich Biel and his techs have been the area’s leader in Fleet Service repair and maintenance for years now. Helping companies no matter what size make sure their employees are safe , whether it be transporting people or supplies we make sure the vehicle makes it’s way through Central Arizona and the Prescott National Forest without any problems. At Biel Foreign & Domestic Repair & Service, our fleet service program is the most convenient choice for companies who need reliable and dependable service for their trucks, cars or vans. Our Certified Technicians are experts in preventive maintenance and can help you keep your fleet services accountable for deadlines. We promise to provide quick estimates, and will always notify you of any necessary repairs before performing them. 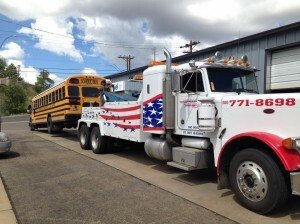 We are dedicated to maintaining the fleet vehicles your company relies on. What this means is that we have the latest diagnostic tools to help pinpoint the problem and get you back on the road as quickly as possible. Our team is ready to help you make your fleet be the dependable source your customers can rely on. If you have any questions about a specific fleet service, please call and we’d be happy to have one of our tech’s speak with you over the phone or come by the shop today! We’ve worked with the following fleet companies: GE Fleet Services, ARI Supplier (Automotive Resources International), Donlen, MAP Advantage Network, Lease Plan USA, FleetNet America, PHH Primary Supplier Network, VMI Products (authorized wheelchair repair) and Enterprise Fleet Management.